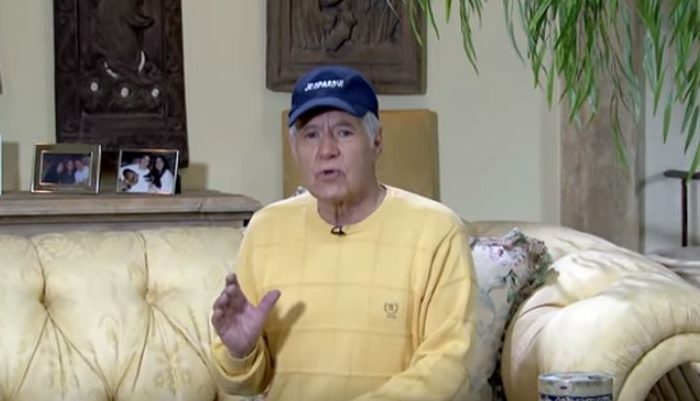 “Jeopardy!” host Alex Trebek is recovering after undergoing brain surgery and has taken a medical leave from hosting duties. “I had a slight medical problem―subdural hematoma―blood clots on his brain caused by a fall I endured about two months ago,” he said on YouTube. “And I want to thank all of you for your concern,” he said. Trebek had surgery Cedars-Sinai Medical Center in Los Angeles on Dec. 16. He’s hosted more than 6,800 shows over 34 seasons since “Jeopardy!” first aired in 1984. “Jeopardy!” is taped months ahead of time.